Iraq's cotton production fell to 49 tonnes in 2018, the Agricultural Statistics Directorate said Thursday, adding that the provinces of Wasit and Diwaniyah, which were cultivated, did not grow during the season. "The cotton production for the year 2018 amounted to 49 tons for the provinces covered by a decline of 57% from the previous year, which was estimated at 86 thousand tons," the Directorate of the Central Bureau of Statistics said in a report. She added that the total cultivated area of ​​the crop amounted to 132 dunums of the governorates covered by a decrease of 85.7% compared with the previous year, in which production was estimated at 925 dunums, indicating that "the agricultural provinces of Wasit and Qadisiya did not grow, but only cultivated On the provinces of Anbar and Salahuddin. " In 2015, the Ministry of Planning announced that cotton production in Iraq was not sufficient to meet the needs of an existing factory, noting that the area under cultivation was 43.1%. 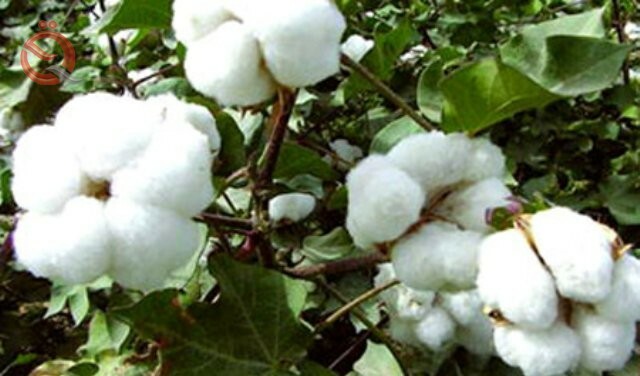 Cotton is a plant of the hotspots, the plant is a small shrub and requires good irrigation and fertile ground so it grows well to produce a high quality cotton.